The number of beer and cider products – from tea-beers to pumpkin ales, pilsners and citrus ciders – has exploded in the last few years and consumers are equally diverse in their tastes. These awards meet the market and give the best brewers in the business a chance to stand out from the crowd across thirteen categories with New World customers nationwide. Best in Class winners of the 2016 Awards will be guaranteed distribution in 137 New World stores nationwide with extensive brand exposure and the opportunity for sustained sales. Chair of the independent judges, beer writer and author Michael Donaldson said New Zealand has a great track record and this is an exciting time to be involved in its development. “The 2016 New World Beer & Cider Awards will be a unique event. Unlike most other competitions, the awards are focused primarily on the consumer. The presentation of results will help New World customers navigate the increasingly complex beer world, allowing them to make informed choices safe in the knowledge all medal-winning beers and ciders are both technically excellent and, most importantly, enjoyable to drink. Whilst breweries do not need to be an existing New World or Foodstuffs supplier, availability is a key criterion. Entrants are required to have enough stock available to be promoted in New World stores nationwide. 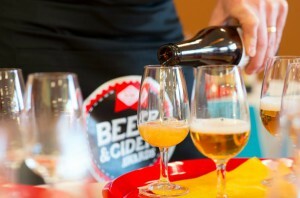 An independent panel of 15 expert judges will be evaluating the entries, with cider and perry judged by specialists in this area. Held over two days in Wellington the judging will be blind and run according to the highest international industry standards. Each entry is judged individually on its merits using a collaborative method that evaluates the entry’s qualities, balance and drinkablility. Gold, Silver and Bronze medals will be awarded to suitably worthy entries and the “Best in Class” is awarded to the top entry in each class. Last held in 2014, the inaugural New World Beer & Cider Awards attracted entries from 56 breweries entering 351 beers and ciders. Blair Harley from Tuatara Brewing, which won Best in Class for its Tuatara ITI Little Big Hop APA, says the promotion of New World Beer & Cider Award winners in New World stores across New Zealand is a key point of difference from other awards. “Taking part in the New World Beer & Cider Awards in 2014, and winning Best in Class for our ITI APA, without a doubt delivered great exposure for our brand and a heightened level of brand awareness. The commercial benefits are immediate and meaningful, and post-win we saw a notable increase in sales,” said Harley.